5 Niche Hosting Companies in the United States | ODosta Inc. The type of web hosting service that a user chooses depends on many factors. The most important ones are technical requirements of the site and personal preferences such the desire to use environmental friendly hosting services. If generic shared hosting cannot meet your website’s technical requirements, you may need to use niche hosting companies. You can check Hosting Companies in the United States which support a wide range of technical requirements that your site may need. Here is a look at some of the top niche hosting companies in the United States and how they compare in terms of technical features and performance measures such as uptime, customer support, and speed. With data centers in Virginia and Los Angeles, InMotion is one of the oldest and best-known niche hosting companies in the USA, and you’ll frequently find great reviews of this company such as this one. Its average uptime of 99.3% and load times of 813ms are average. Its customer support is, however, excellent. Once you submit your ticket, it takes less than two minutes to connect to a live agent who will quickly answer all your questions in a professional manner. Important features that the company provides include Sucuri Plugin for WordPress security and more than 310 applications that support open source projects. For instance, it has systems for content management such as Prestashop and Magento that are used in e-commerce websites. Boasting around 800,000 domains and data centres not just in the US but also in Asia and Europe, SiteGround is one of the best niche hosting companies in the USA. It has a very good uptime of 99.99%. This is more than the industry’s average of 99.94%. Its 716ms load time is also one of the fastest in the industry as the average is 890ms. Given that Google nowadays factors in load time in its ranking algorithms, having a hosting service that offers such fast load time is certainly good for your site’s SEO. Fast load times are also important if you are running an e-commerce or membership website as they prevent traffic from bouncing off due to frustrations that come with slow load times. The company also has very knowledgeable and responsive staff. According to its statistics, they have over 96% customer satisfaction rate. Important features that SiteGround has include free security add-ons such as IP address blocklists and SpamExperts, managed WordPress hosting, over 18 applications for e-commerce, and secure socket layer (SSL) encryption. The latter is particularly important because increased website hacks and cyber attacks have made Google include site security in its SEO rankings. The company supports around 1.5m websites and has a customer base of over 400,000. Its average of 705ms load time and 99.98% uptime are both above industry averages. For customer support, it has live chat which customers can connect to in less than five minutes. Within a few seconds of connecting, its staff provide detailed responses to your questions. 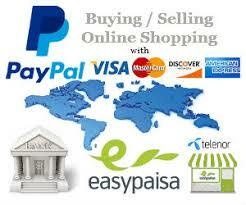 Important features that the company offers include e-commerce, website builder, and e-mail support. DreamHost is also one of the few green hosting companies. Strongly committed to reducing the environmental impact of its activities, the company has managed to neutralize close to 30,000 tons of greenhouse gas emissions. With data centers in Texas, Utah, and India, the company has close to 500,000 customers and 9 million domain names. For its services, it charges between $2.75 and $76.56 per month. The starting price is not much different from one charged by similar companies. Its average uptime of 99.98% is one of the industry’s best but it’s 977ms load time is below average. For customer support, you can use email, live chat or phone. Responses take a little longer than the industry’s average but they are very detailed and helpful. The company’s extensive FAQ page and numerous tutorials also make getting help relatively easy. Some of the niche features that the company provides include free website builder, enhanced security features such as SSL encryption and protection against DDoS attacks, and automatic removal of malware. 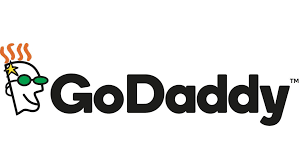 Since its founding in 1997, GoDaddy has grown to become the biggest registrar of domains in the world. As a niche hosting provider, it has powerful dedicated and virtualized servers that cater for the needs of site owners, WordPress users, e-commerce stores, and website builders. Some of its unique features include online marketing tools, a large number of SSL certificates for security, and more than 125 applications that you can add to your account. As for its performance, its average of 448ms load time and 99.95% uptime are both above industry’s average. It also has excellent customer support services, especially if you call them. Their live chat is not reliable. Each of the niche hosting companies discussed in this article has strengths and weaknesses. The choice of company you make depends largely on its performance and the unique features that it provides. The ideal company is one that has fast load time, high uptime, excellent customer support, and has all the features that support the technical requirements of your site.